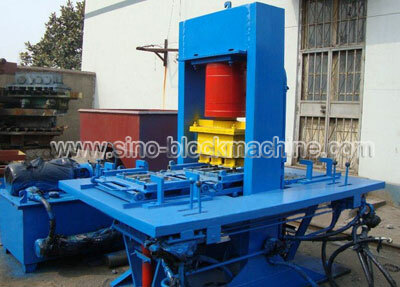 SINOSUN 150T Hydraulic Block Forming Machine is specially designed to make paving blocks, tiles, curbstone, etc. 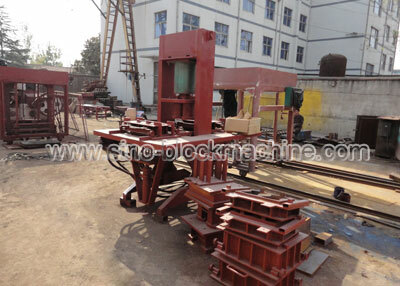 It has bigger pressure than common hydraulic block machine. Thus the block quality is better, too. SINOSUN 150T Hydraulic Block Forming Machine consists of main machine, hydraulic station, two working platforms, joysticks, one upper mould, two lower moulds. It is manual type. Two operators can work at two sides at the same time. 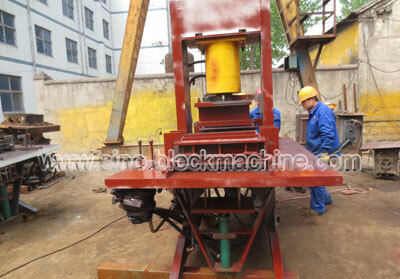 Our 150T hydraulic forming machine is very suitable to make curbstones (length: 0-500mm). As this machine is cheap, needs less workers, and produce better quality blocks and curbstones, so it is very competitive.